The history of a car manufacturer is punctuated with tops and bottom, with new cutting edge developments and with mythical models that mark its history forever. For the Cavallino, Ferrari, we all know the myth around the 250 GTO. And for the bull, Lamborghini, the Miura marked the spirit of the Automotive world both for its revolutionary technical side and the purity of its lines. 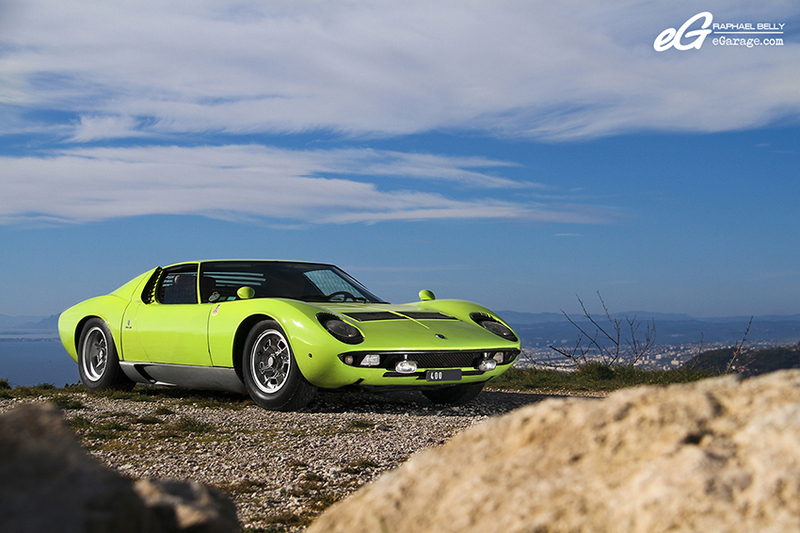 The Lamborghini Miura’s tremendous media impact can be understood only if we look into the past, to the end of 1960s, when the Miura was in its prime. All the magazines that published a Miura image, often accompanied it with a dreamlike creature. The car is used all over the world for movies and broadcast productions. Kids own scale Miura models, even in wired remote control. Even the name is suggestive and exotic, it rings true. Miura, five irresistible letters, with a Latin charm and reminds inevitably of the hot challenges between bulls and toreros. 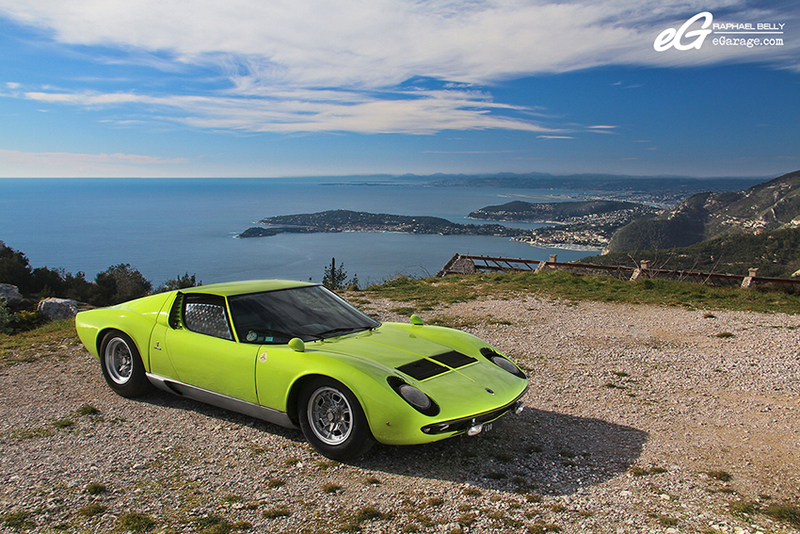 Born only from the will of two young engineers of Lamborghini, the Miura embodies the archetypal sports car. 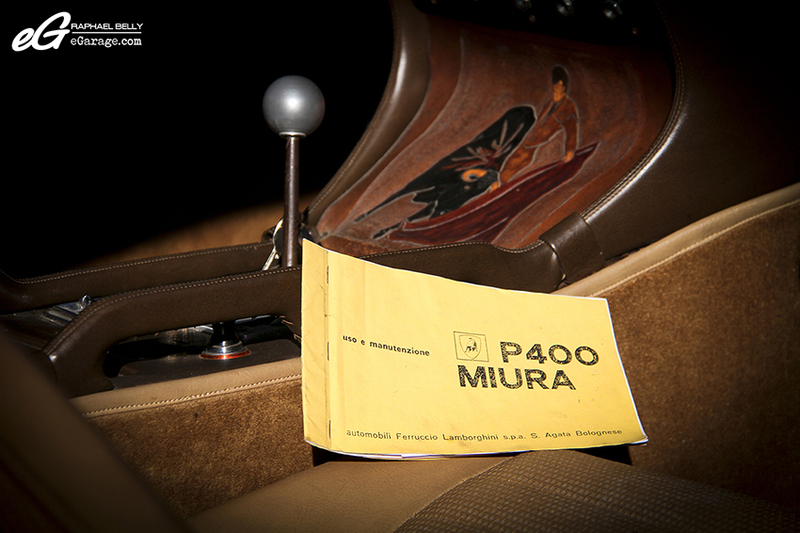 In the 1965 Turin Motorshow, Lamborghini displayed a naked frame of the Miura. Its design and its drawing give her an innovative aspect. It is unofficially baptized “400 TP “, and this naming highlights an unexpected characteristic for those who know the manufacturer Ferruccio Lamborghini and his taste for the competition. This chassis is the same as that of a racing car, a passionate choice of two young technicians of Sant’ Agata Bolognese: Gian Paolo Dallara and Paolo Stanzani. Although they are more or less certain to suffer a refusal of their direction, both engineers launch into a realization of a welded chassis, with folded and leaky sheet steel body. They install in the rear the V12 engine of the 400 GT transverse position (in Italian, transversale posteriore, or “TP”), located behind the passenger compartment. Typical on the racing cars of this time, this location is never again seen on a touring civilian car. Finally, the gearbox and the differential of the Miura are attached to the crankcase in a single block. Presenting their creation to Ferrucio Lamborghini, both of the young Paolos, Dallara and Stanzani, are afraid of his reaction. But much to their surprise, he accepts the project. “It will be good advertising for our house”, grants the boss to his technicians. “But we shall sell no more than 50 units. And for the competition, do not even think of it!”. 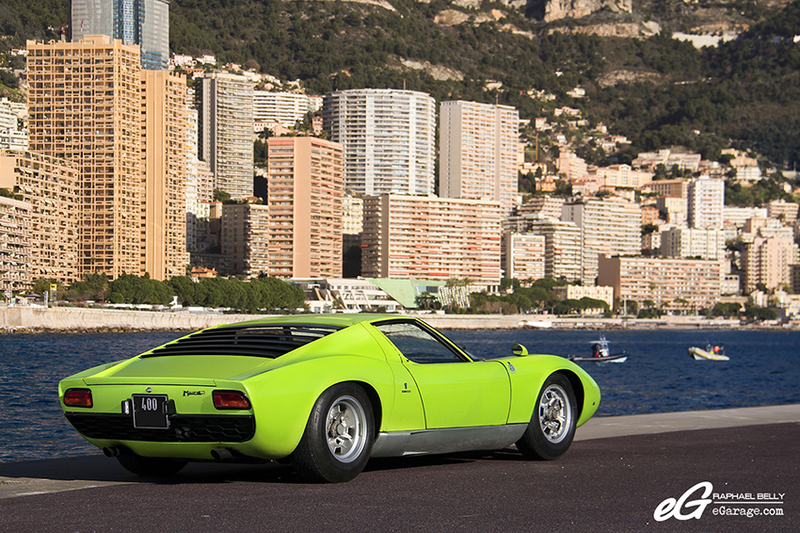 A young designer at Nuccio Bertone, Marcello Gandini is called by Lamborghini to dress the Miura chassis. For once, the forecasts of Lamborghini turn out inaccurate, the Miura will become a bestseller and an icon for Lamborghini. Nevertheless, it never participated officially in competitions. Only some units were hired in races, with some known drivers such as the German Gerhard Mitter and the ltalian Marcello Gallo. “Once at home, I wanted to repaint it yellow. I had even bought several Miuras at 1/18 scale that I painted in several colors to give me ideas: one in grey, one in yellow, one red. My wife convinced me to leave it green at the moment. But I decided to completely re-do the interior. We expected the seats to be in a nasty state because the previous owner had covered them with this “Texan” leather to mask their degraded state, but under this leather the seats were in an exceptional totally original state. 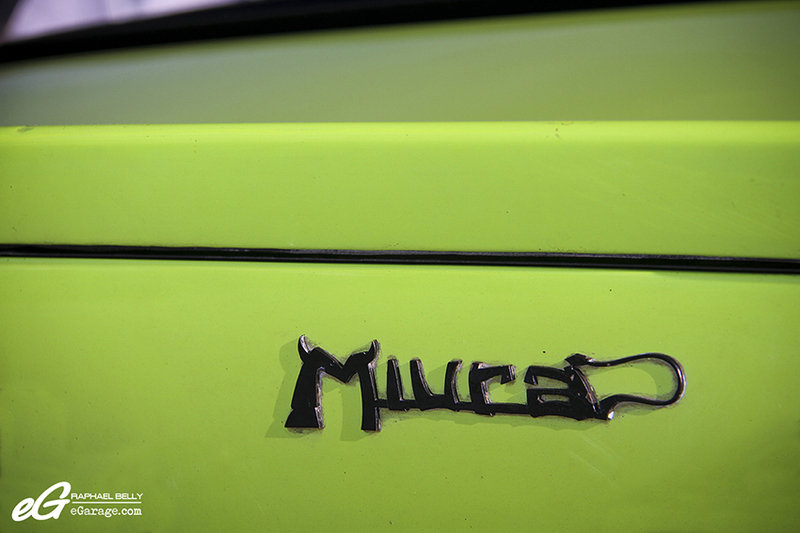 The sport chassis of the Miura, so unusual for a road GT, does not go unnoticed. 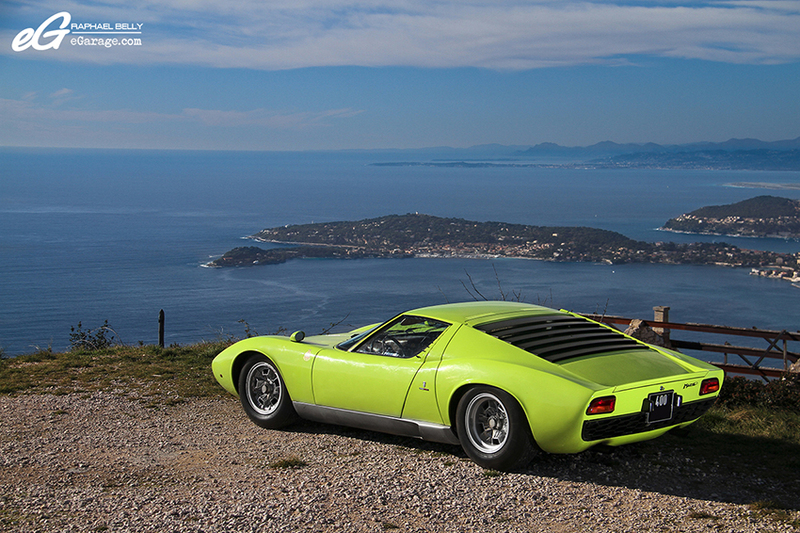 Nuccio Bertone, the very renowned designer of many prestigious cars, immediately falls in love with it. According to the official biographies of Lamborghini, he showed his enthusiasm to Ferruccio during one face to face with him, “I am the one who can make a shoe for your foot”. A handshake later, everybody set to work, Ferruccio wanting his “TP 400” to be ready for the Geneva International Motorshow at the end of February, 1966. Bertone saw only the naked chassis in Turin, in October, 1965. 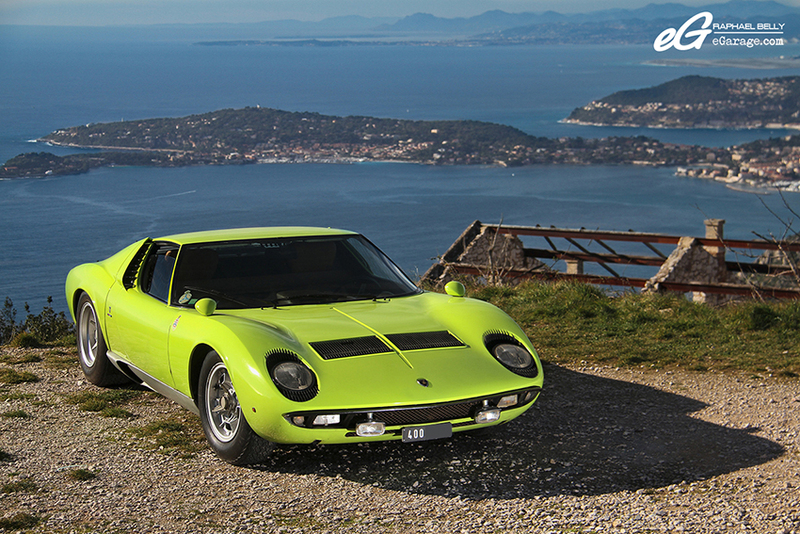 Gandini had only four months to secure the agreement between both men, and to create the driving prototype of the Miura. Actually, the challenge was brilliantly accomplished. As expected, the Swiss Show crowned her queen in March, 1966. 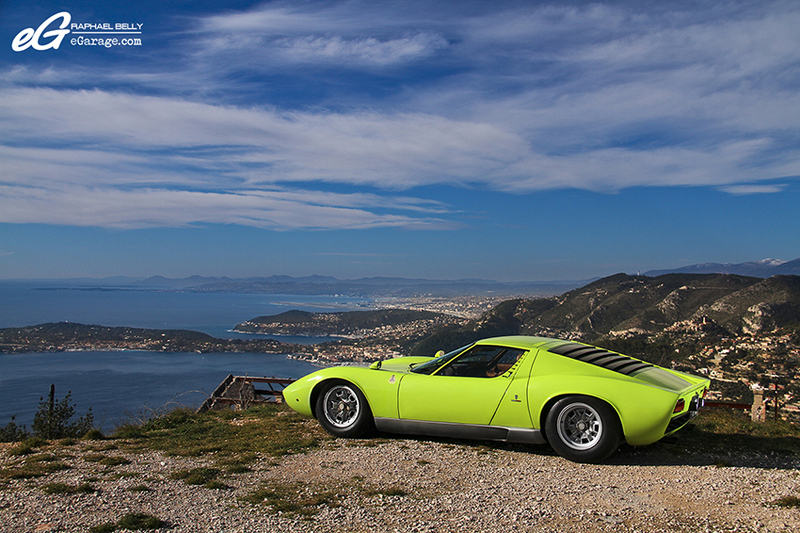 Marcello Gandini, a few years later said, “we worked seven days a week and practically 24 hours every day”. 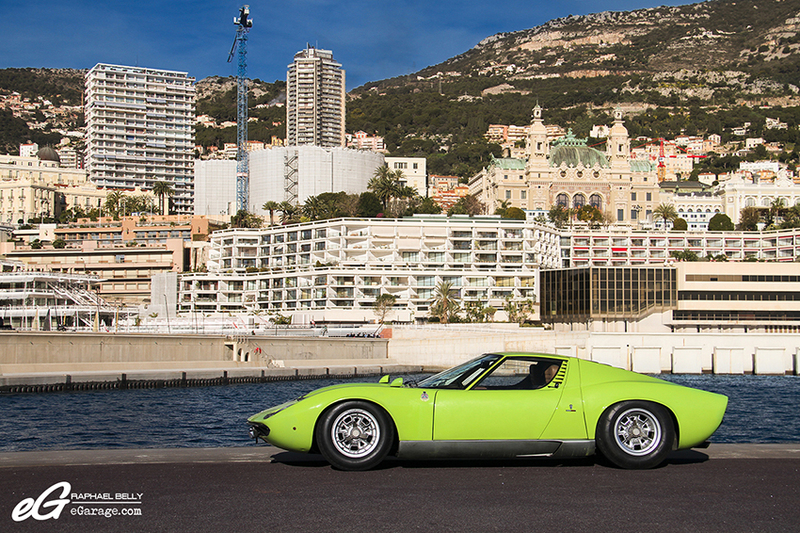 During the Geneva International Motorshow, the displayed Miura is a prototype, fitted with wheels, lights and with a trunk door in a single part, made with plexiglass. Very quickly, the car was fitted with rims called Campagnolo in alloy, while, to optimize the engine cooling, its plastic “lid” is replaced by a similar part but with parallel and horizontal lines, in a shape dedicated to the evacuation of the hot air. 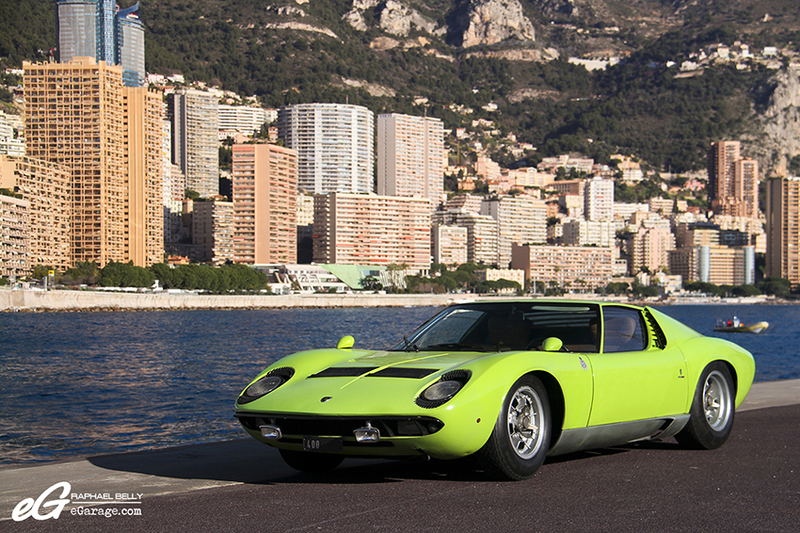 This configuration is nowadays traditional, but, at this time the Miura was the first road car to get this feature. 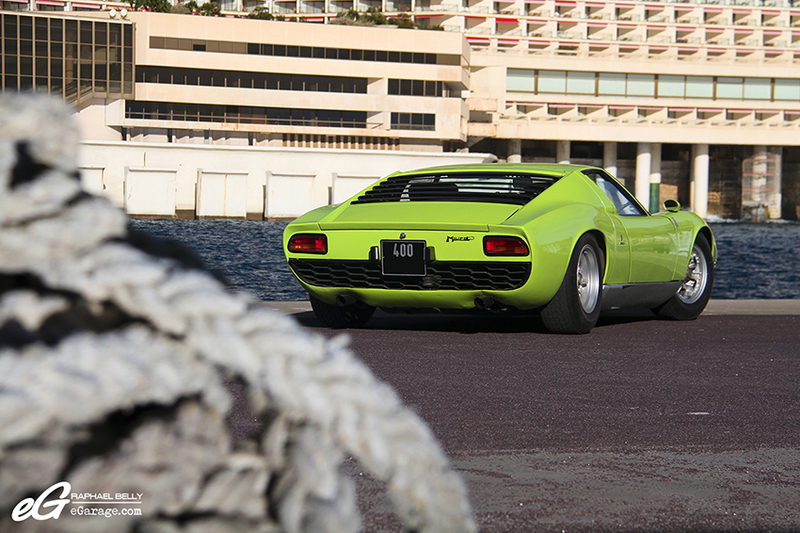 The front lights and their vertical “lashes” on the hood are the distinctive feature) of the Miura first version, in 1966. The back trunk is said “of courtesy”. It can contain hardly more than a small suitcase. The spare wheel is also accommodated under the trunk, a placement typical of the competition cars. The engine of “TP 400” was the classic V12, stemming from the initial project of the engineer Giotto Bizzarrini. 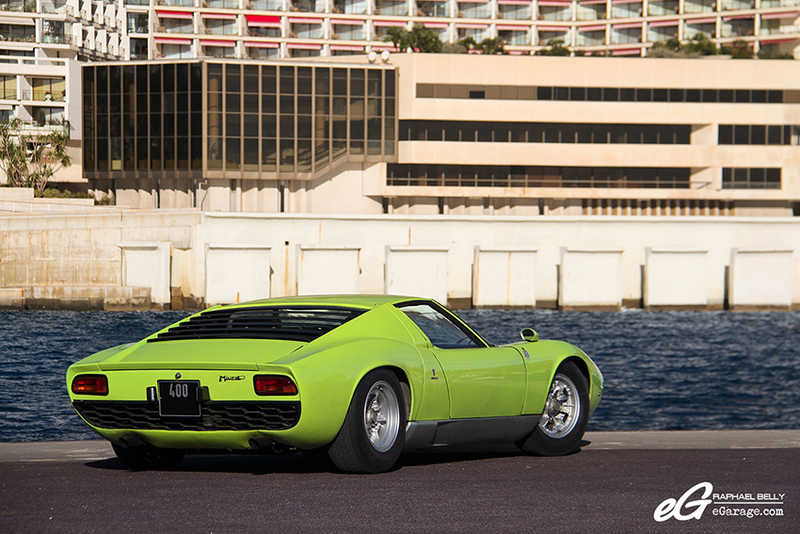 Compared to the 400 GT versions, the engine of the Miura was refined and optimized. The 4L V12 kept its bore, but its engine revs and compression were modified. The value of maximum torque was 369 Nm at 5100 rpm, and the power reached 350 HP at 7000 rpm. It was very light, weighing only 980kg, the maximum speed was estimated at more than 280 kph. A power level very important at this time because the Formula 1 world champion of this time was a Lotus of “only” 205 HP. As for the Porsche 911, it was 130 HP at that time. Actually, the maximum speed of 280 kph and the accelerations outstrip clearly the rivalry. The SV version (with its 385 HP) will afterward be timed at 288,6 kph. At this stage, the only thing that remains is to give a name to this new car. 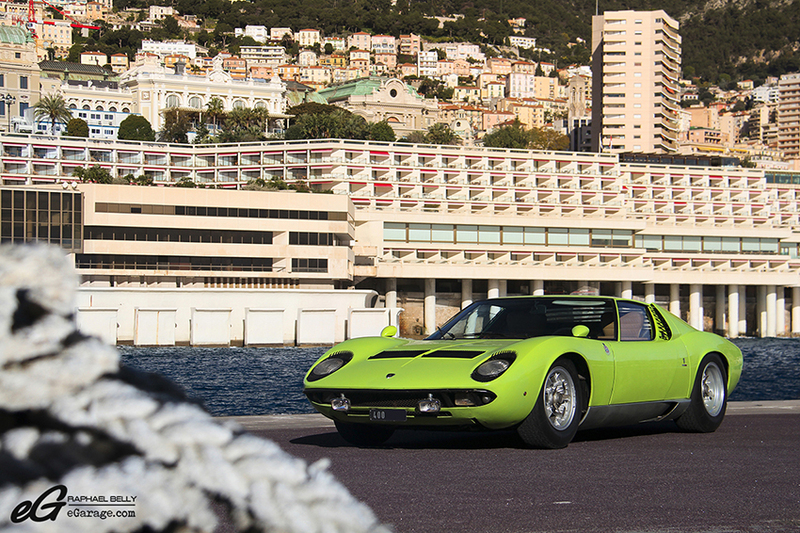 Lamborghini personally chooses “Miura”, the name of a particular race of fighting bull. Ferruccio had this idea when he visited a Spanish breeder of fighting bulls owned by Don Eduardo Miura, near Seville. Ferruccio never wanted to reveal what pushed him to choose this comparison with a bullfighting race. Miura is a bull very appreciated in the bullfighting universe because of its power. It boasts a reputation of a robust fighting spirit. As for Ferrucio Lamborghini, he was born under the astrological sign of the bull, and his admirers identify his strong mind and forward thinking. 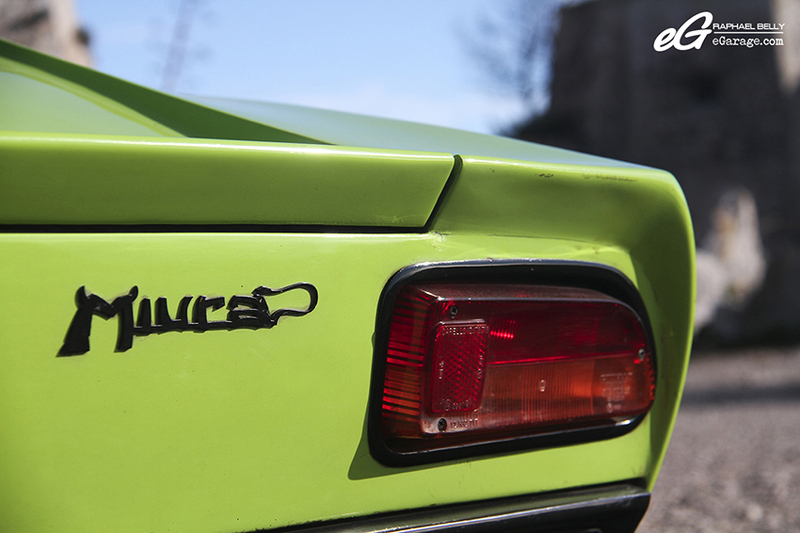 The fact remains that, after the Miura, all future Lamborghinis will be placed under the sign of the bull. Indeed, with rare exceptions, as the Countach for example, all the successive models of the of Sant’ Agata Bolognese house were baptized under names evoking bullfighting. After a sunny morning playing with this rare and elegant bull, it is time to return to its “finca” (Spanish for meadow in which fighting bulls are raised) where his owner pampers it. I made sure to thank him for this unforgettable moment.